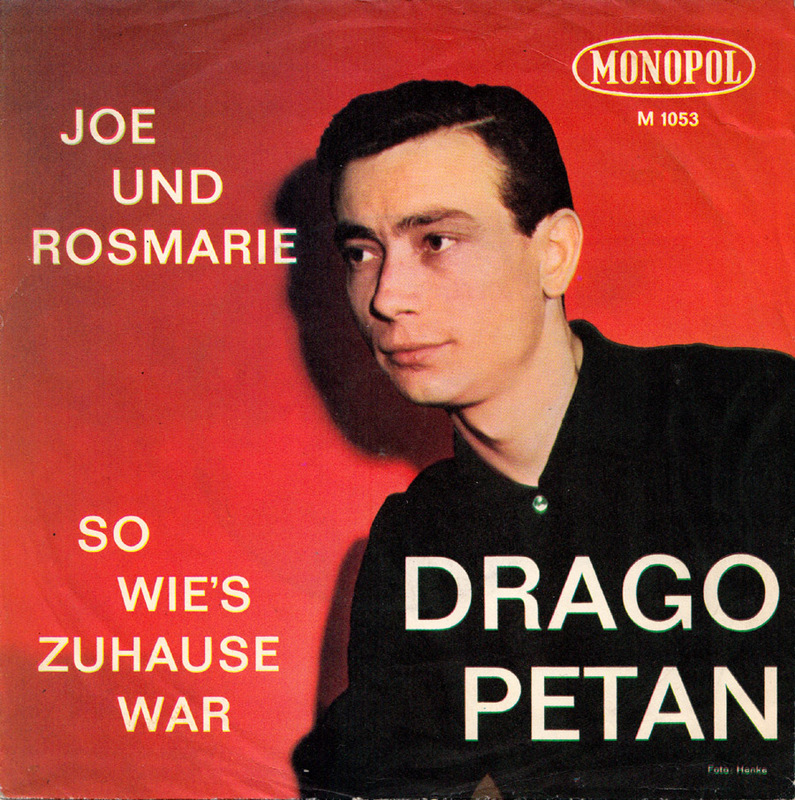 I have no information about Drago Petan but the name sounds like it could be Slovenian. 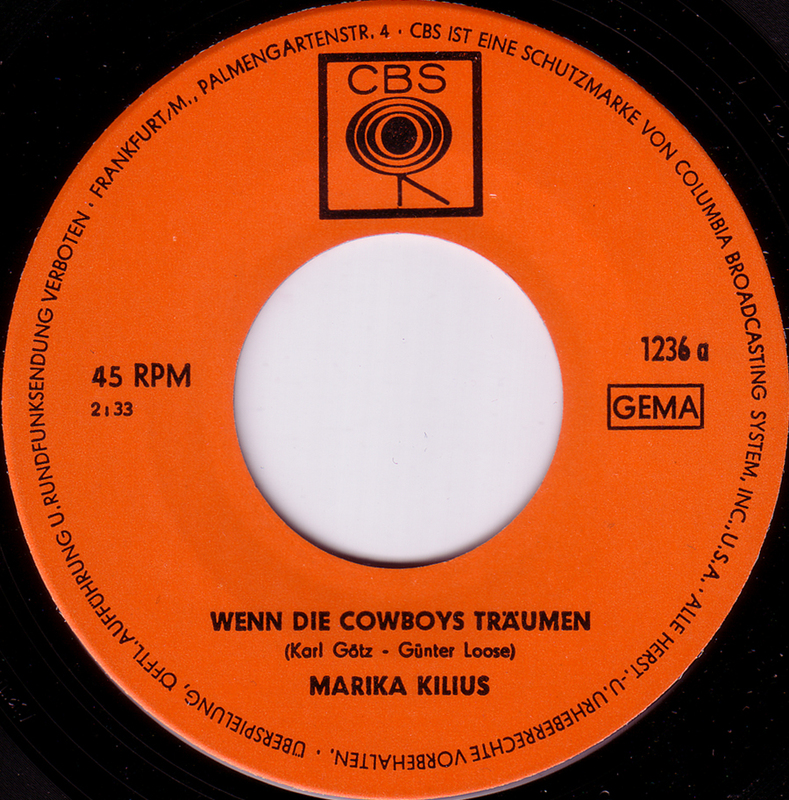 Recorded for the small local Berlin independent label Metropol that still exists today. 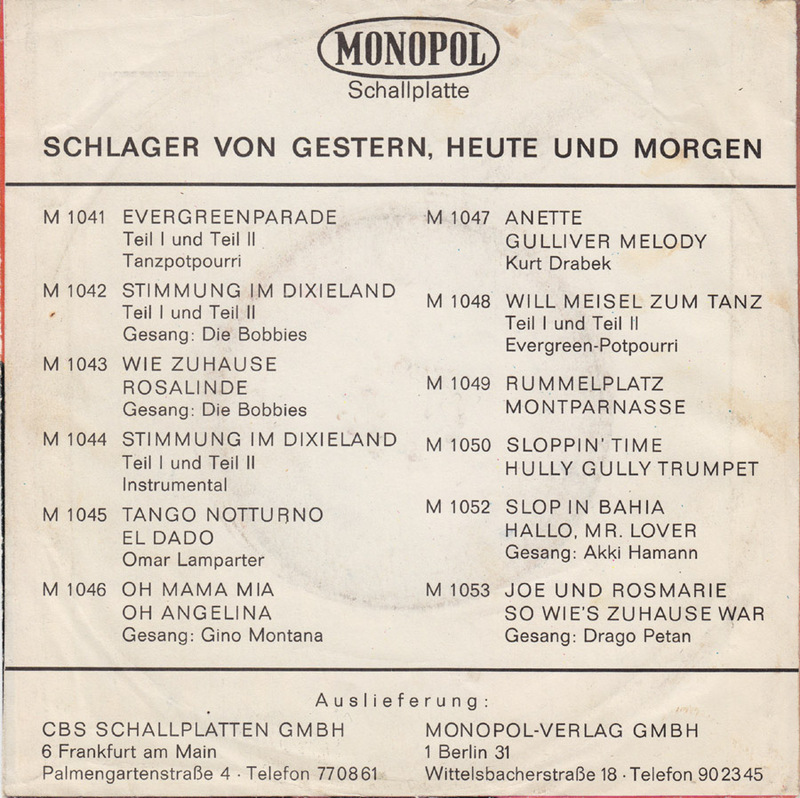 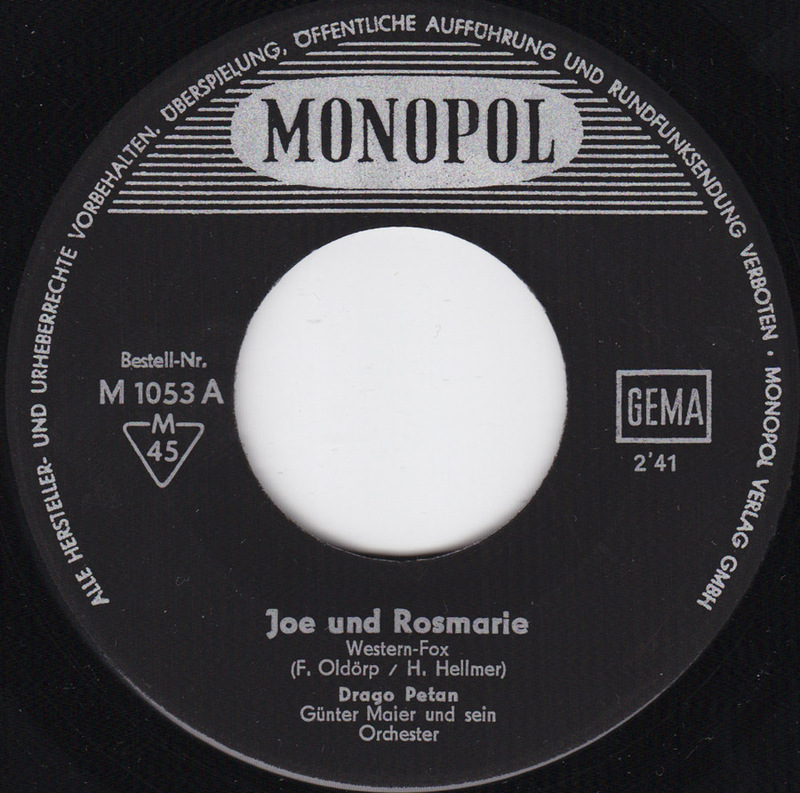 Joe und Rosemarie is a typical German cowboy song. 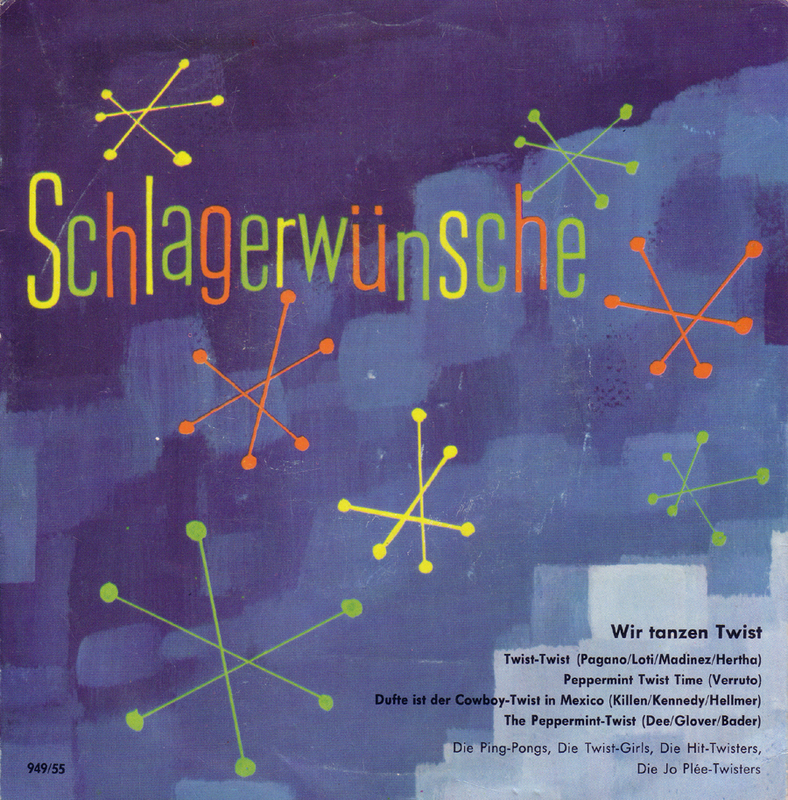 Written by Fred Oldörp of The 3 Travellers. 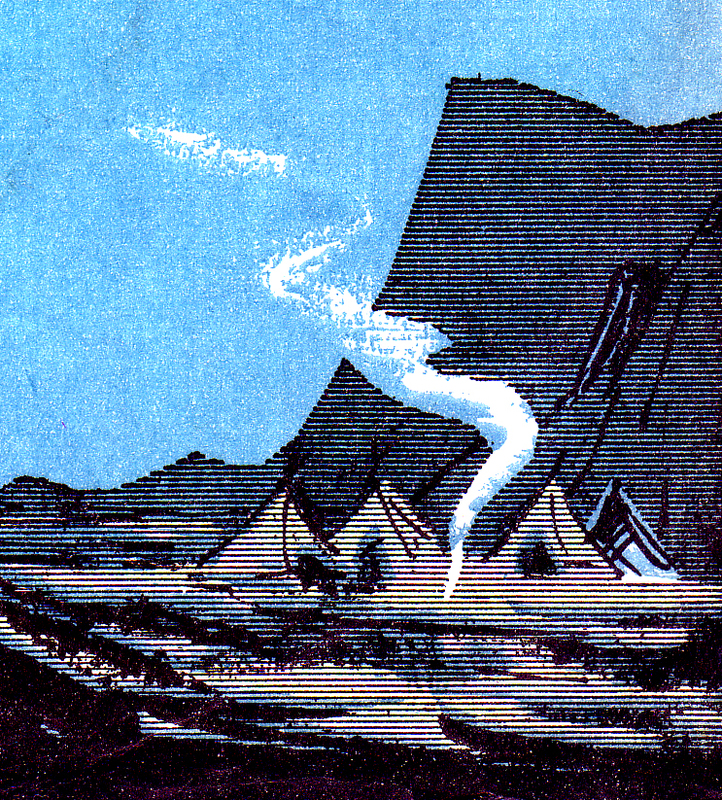 The flip is about homesickness and sounds a little more authentic than those Freddy tear-jerkers. 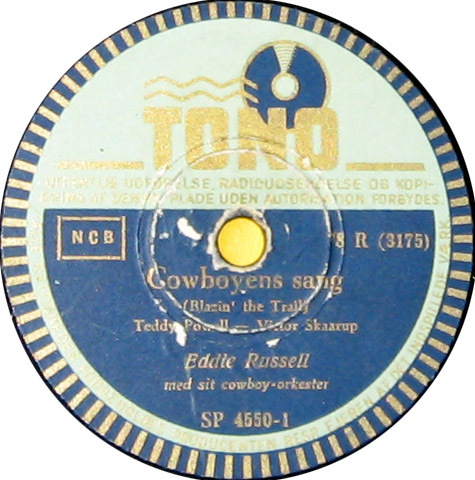 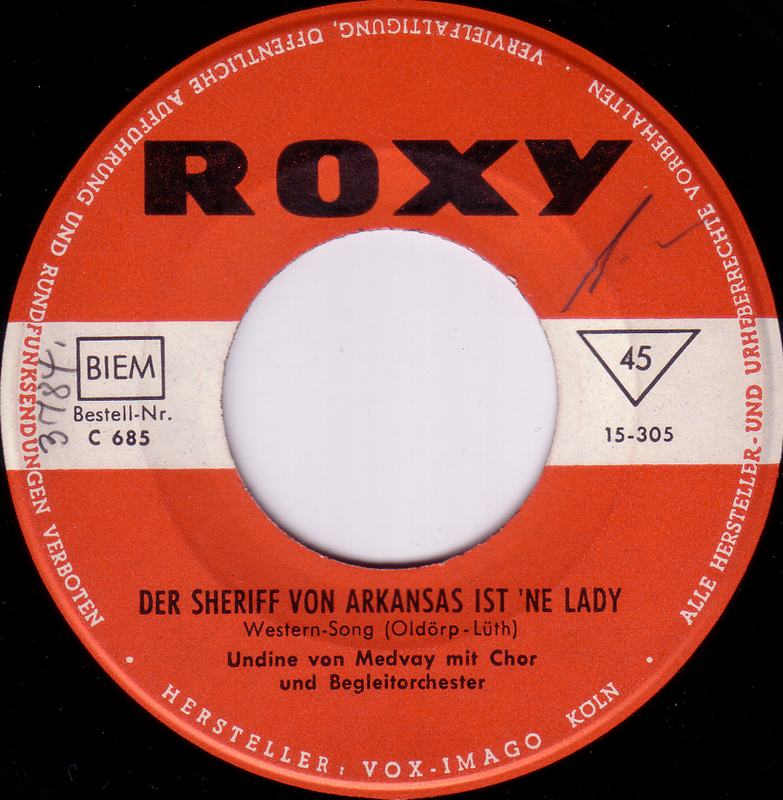 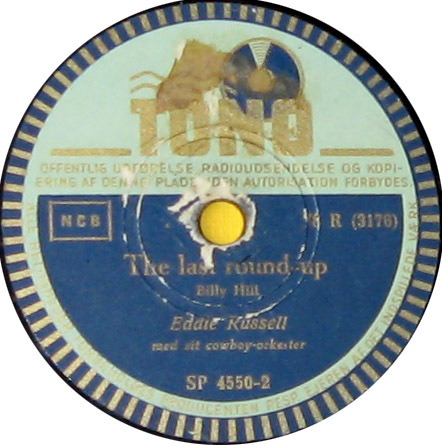 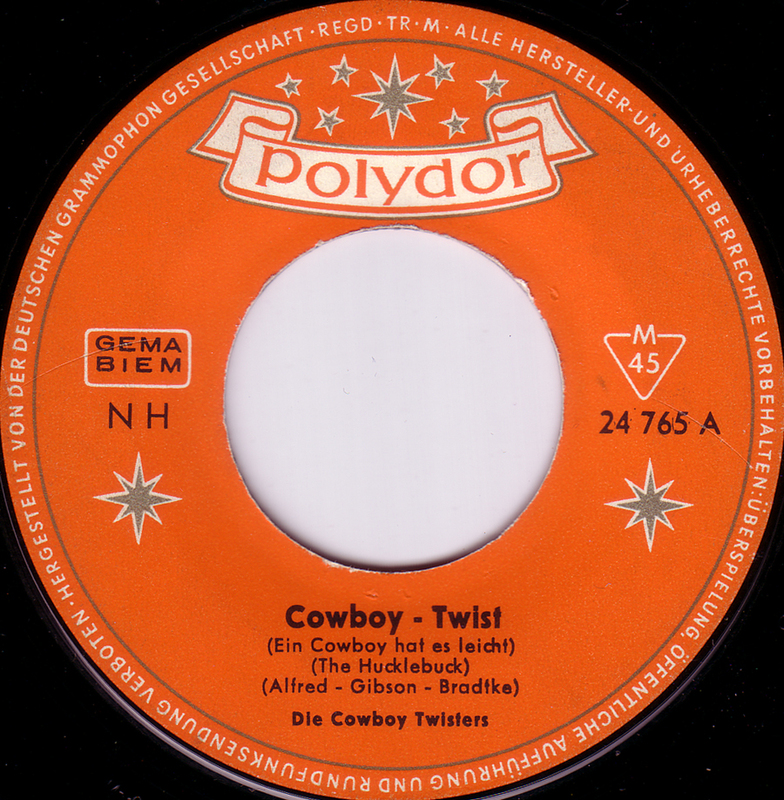 Another Cowboy-Twist song on the Neckermann budget label. 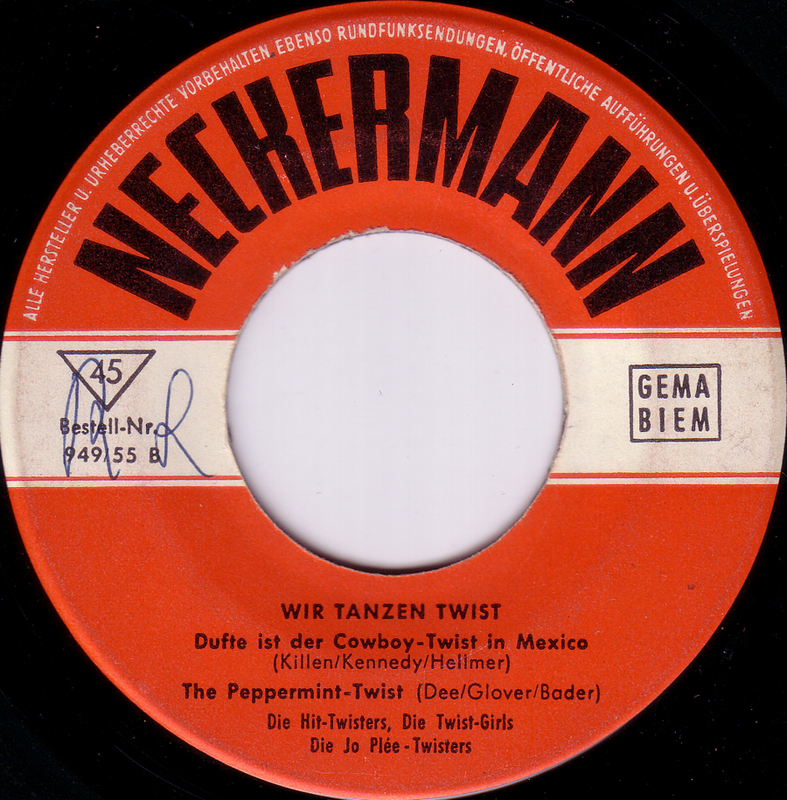 Neckermann was a chain store company that also produced records that were sold in their stores. 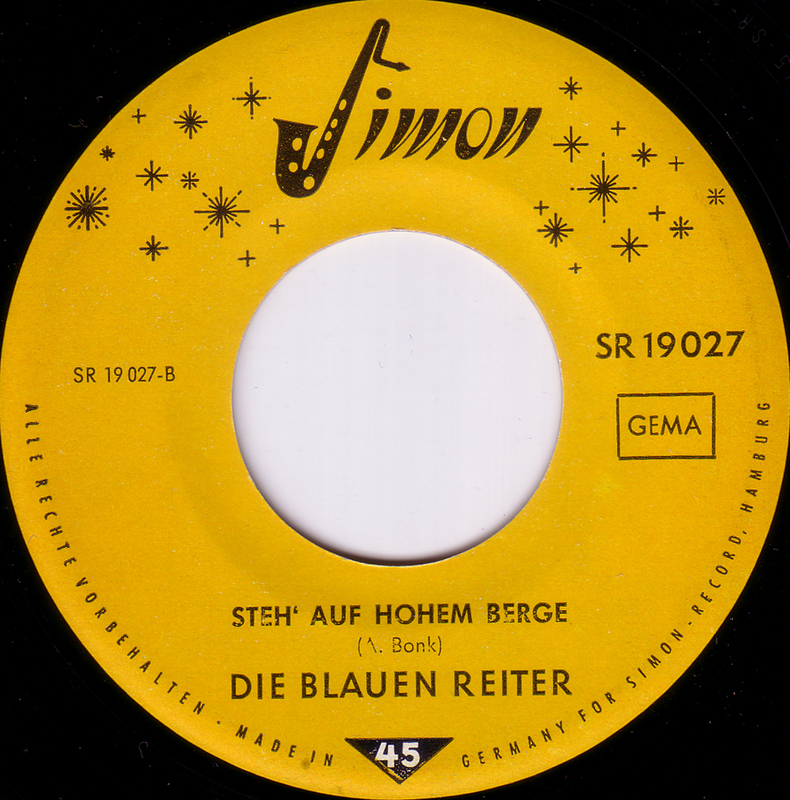 The German version of Lorne Greene`s hit song, sung (or rather spoken) in the same manner as the original. 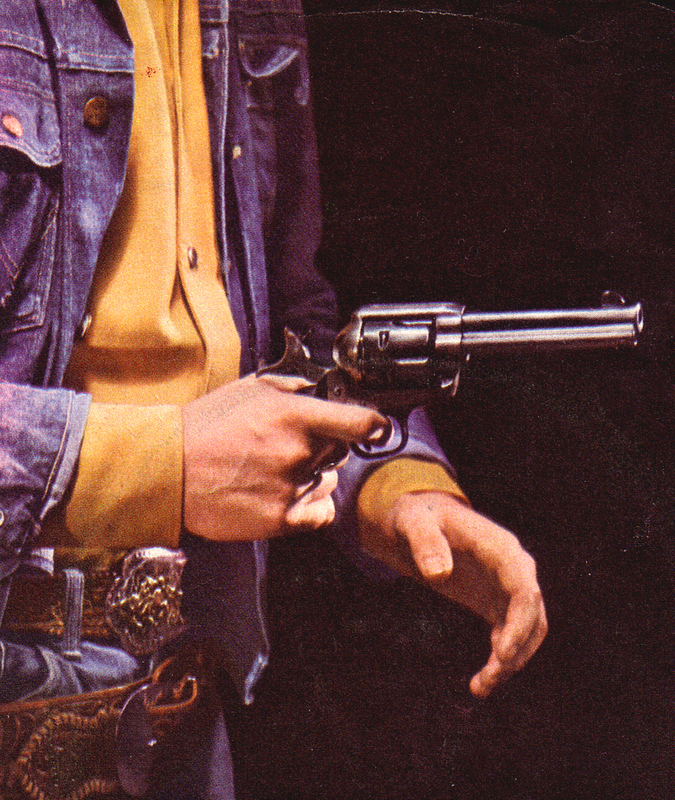 In Western movies there are cowboys, Indians and then there is the cavalry. 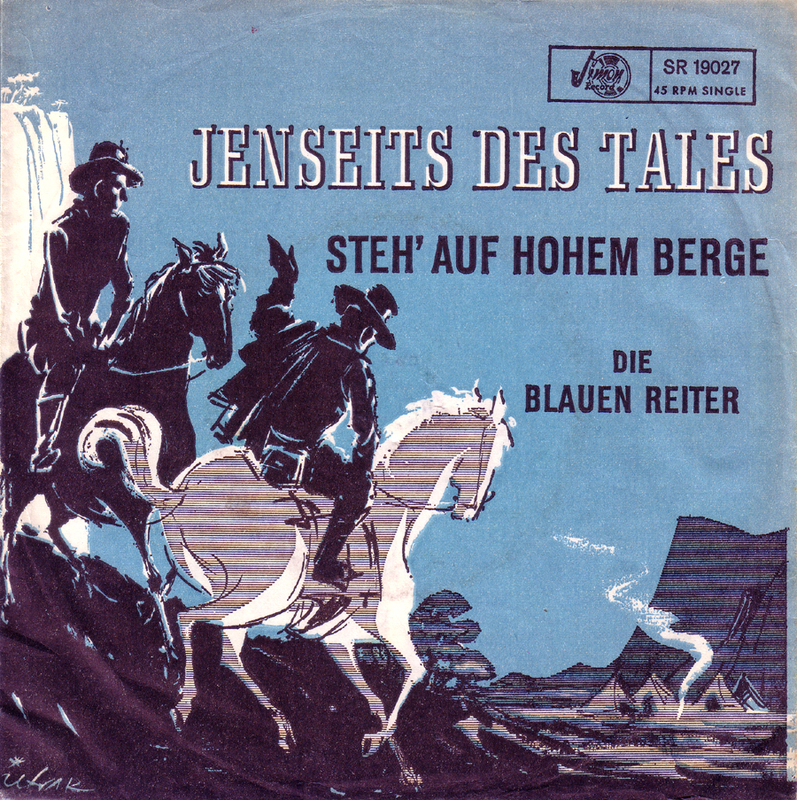 This is a particularly creepy German Western song that glorifies the military. 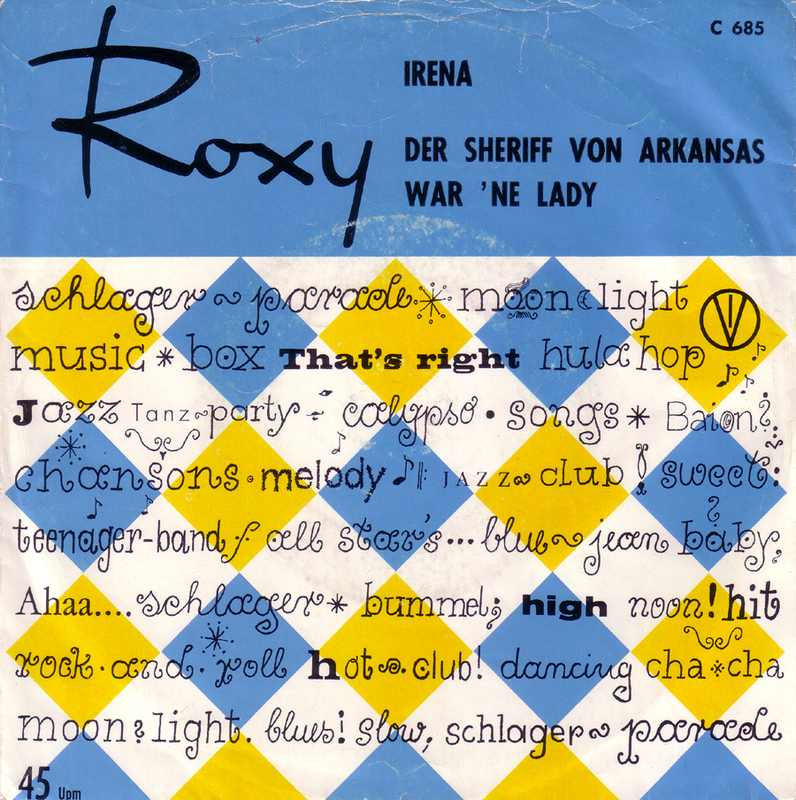 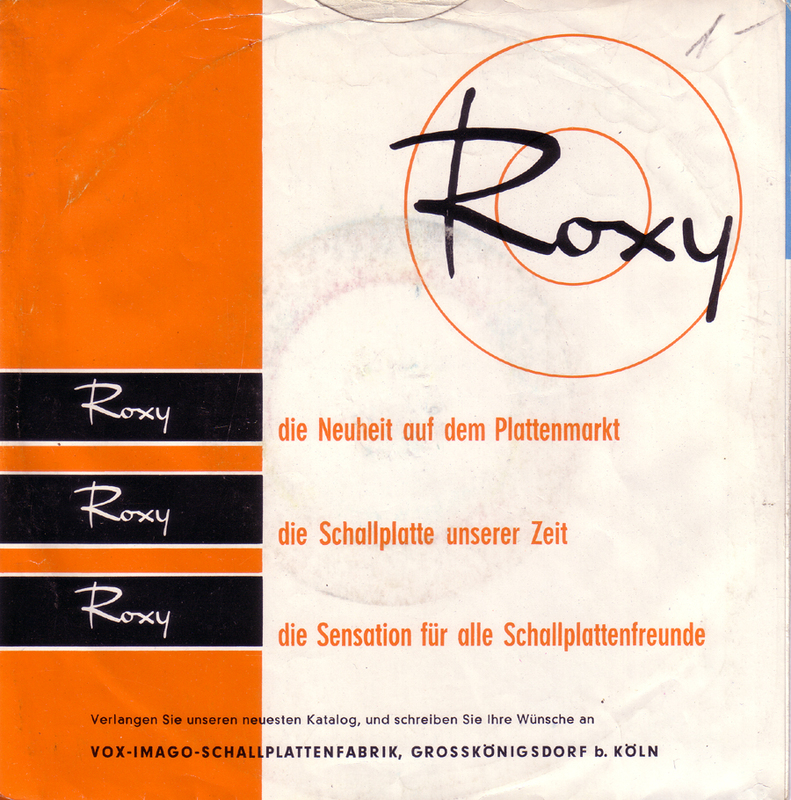 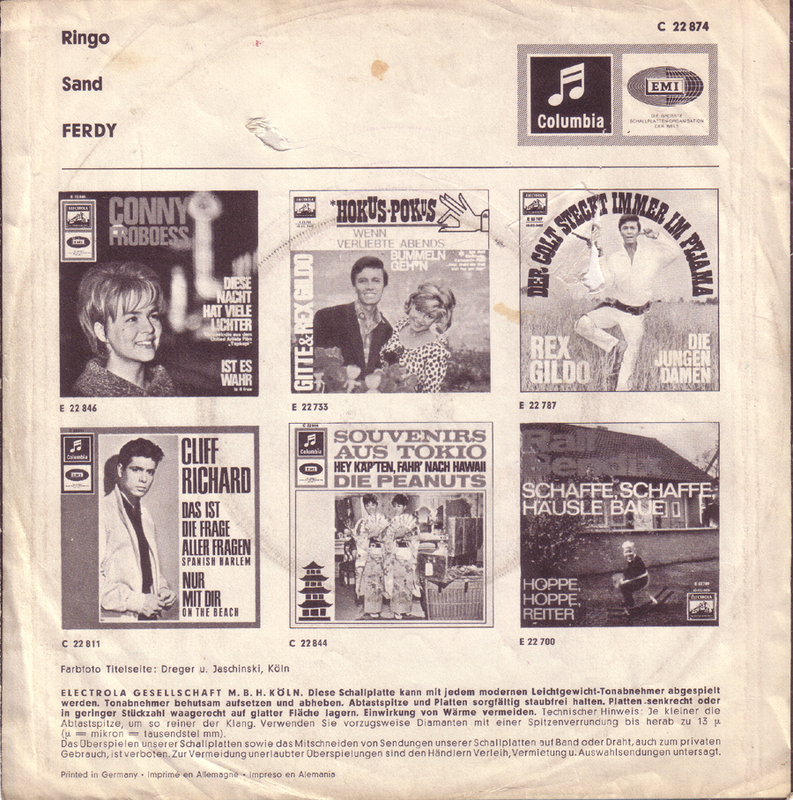 A cover version of Caterina Valente`s hit song on the budget label Roxy that was produced by the Vox-Imago record plant that also produced a wide variety of flexi-discs. 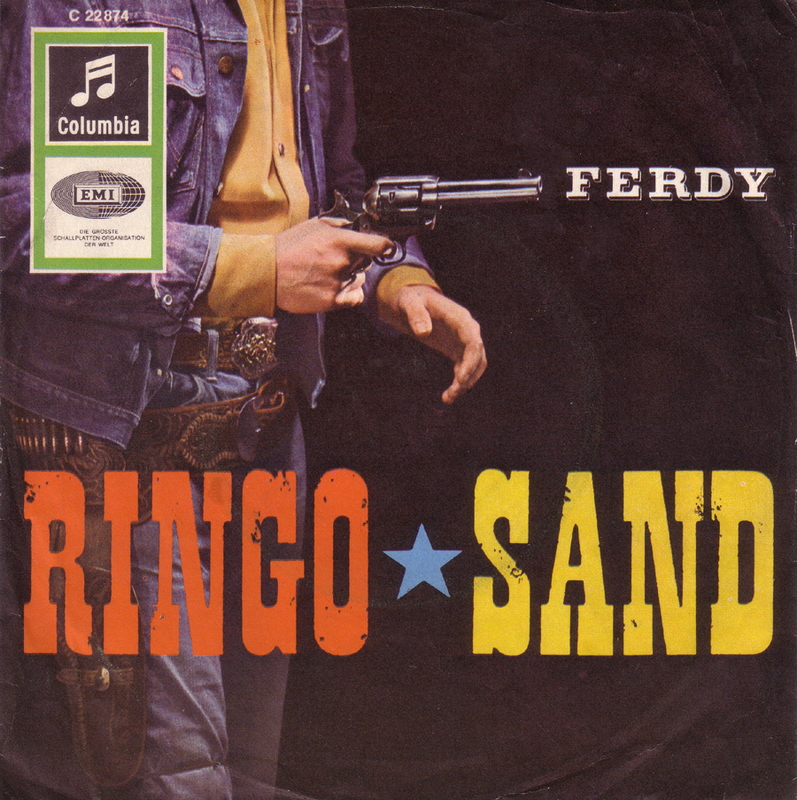 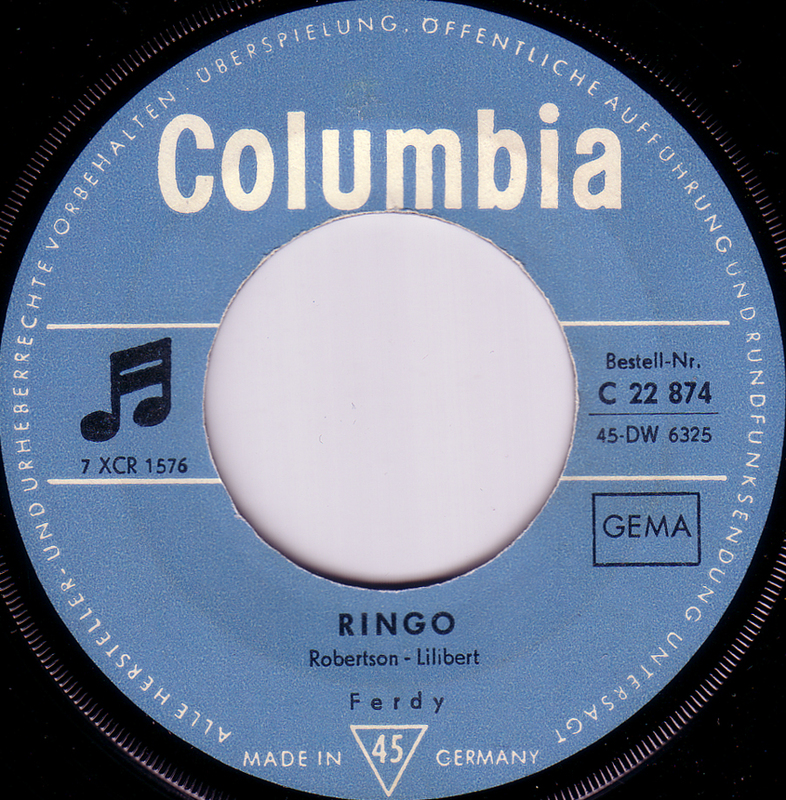 The song was co-written by Fred Oldörp who was a member of the Berlin group Die 3 Travellers.